This week we have some cracking picks for you all to take a look at. SirSalami has found an incredible dodge mod for Skyrim that not only adds an ability for you to dodge attacks, but also your enemies. I have a Star Wars based mod from nubyplay that I have had great fun checking out (frazzling enemies with lightning or sending them skyward never seems to get old), Terrorfox1234 has multicolored torches with a variety of uses, and Robbie922004 has come through again yet with a great pick and write up for 'Revenge of the Sleeves' for XCOM: Enemy Unknown. I’ll keep it simple this week. 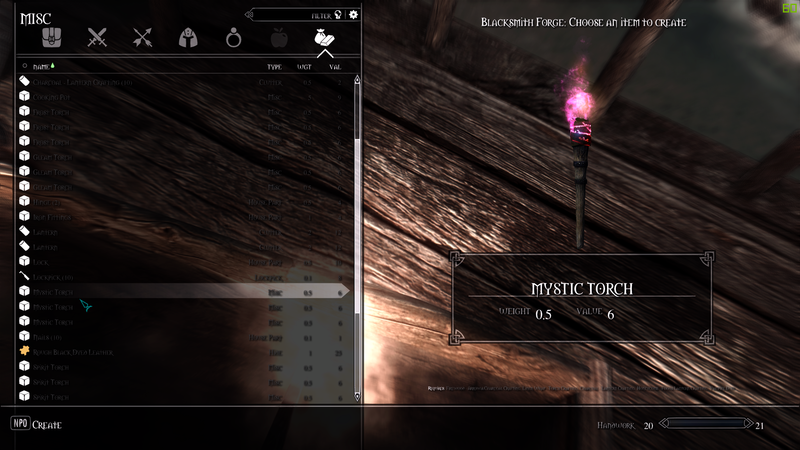 Torch varieties adds six new torch variants to Skyrim. Not only does each option have a unique color, but they also produce different buffs and attacks. For example the Blue Torch does Frost damage when you bash someone with it. Likewise it provides frost resistance. The Green Torch has similar attributes, related to poison. My personal favorite is the Void Torch. While it does health damage and provides damage resistance, like a couple other torches on the list, it also has the added bonus of putting anyone hit by it into slow motion. That comes in very handy when dealing with large crowds and trying to prioritize specific targets. That’s it! There is not a whole lot to say about this mod. It adds some variety to the game and makes torches useful for more than just lighting dungeons. Even in the wonderful world of Skyrim, there's no getting away from Star Wars. 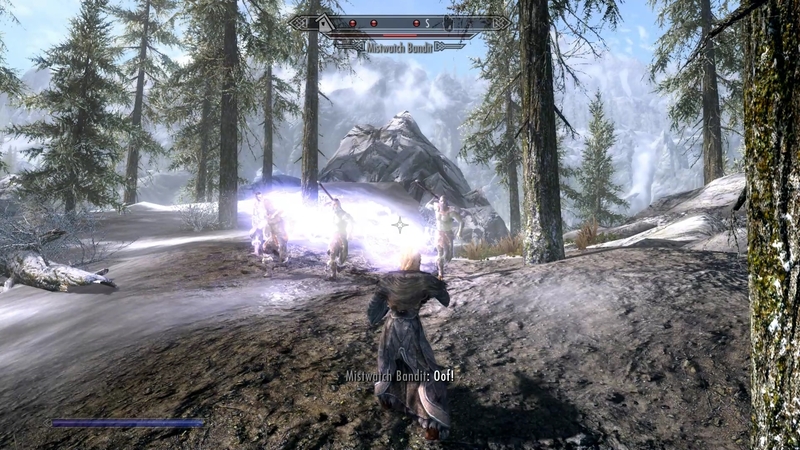 Use The Force Skyrim is a cracking mod that beautifully realises some of the force powers that we witness both the Sith and the Jedi using throughout the Star Wars movies. In order to gain these powers (spells) you need to craft holocrons at a blacksmith forge, the requirements for each holocron are neatly weighted dependant on the force power you are trying to gain and means that you can't just immediately start wiping out enemies with Force Destruction. Due to the fact that I wanted to try the mod out fully for my Staff Pick I did cheat in the requirements, but when I get a chance to do my next run through of the game I will definitely be adding this mod and trying to gain the necessary components legitimately. Running around and using your force powers instead of weapons is great fun, whether you just use Force Push to barge someone out the way and continue your quest, or send them sailing off a cliff/ledge with Force Push II it really does put a smile on your face. Force Whirlwind will send them sailing straight into the air and on a number of occasions I lost where they went and carried on my merry way. If you are feeling particularly vicious then turn your attention to the more Sith/Dark Side orientated powers and begin by frazzling your enemies with linked lightning attacks before truly wiping the floor with them with the almighty Force Destruction spell. The Mind Trick powers are great if you want to bamboozle your enemies into thinking you are somewhere else, or changing the alliegance of NPCs. Of course, if you want to take the experience to the next level, then you can combine this with Jedi Sith Light Armour by Alduin78 (uploaded by Kursan). Now you can not only use the powers, but also wear the robes! Check them out and if you like them, remember to give the authors a big thumbs up endorsement. Now available for both Skyrim and Skyrim Special Edition, Ultimate Dodge Mod adds new evasive options to vanilla combat. Perhaps like many of you, I've used several similar mods in the past but I'm always eager to see if any advancements are made in the art of evading. So, how does this one stack up? First and foremost, mods of this sort need to be responsive. I'm happy to report that after a brief initial setup process, this is the most responsive evasion mod I've tried, personally. I'm not sure if it's a result of the non-scripted animations that the author has implemented or some sort of other dark-magic, but dodging with this mod feels good and more importantly, always feels consistent. If you think that this sounds "OP" though, think again. By design, there are no invincibility frames and no animation canceling, forcing the player to make wise tactical decisions in combat. Additionally, dodging will drain your stamina appropriately, which is customizable in-game. Perhaps most importantly though, NPCs can now dodge too, making combat livelier than ever. A pack of dodging Forsworn can be quite intimidating, believe me. 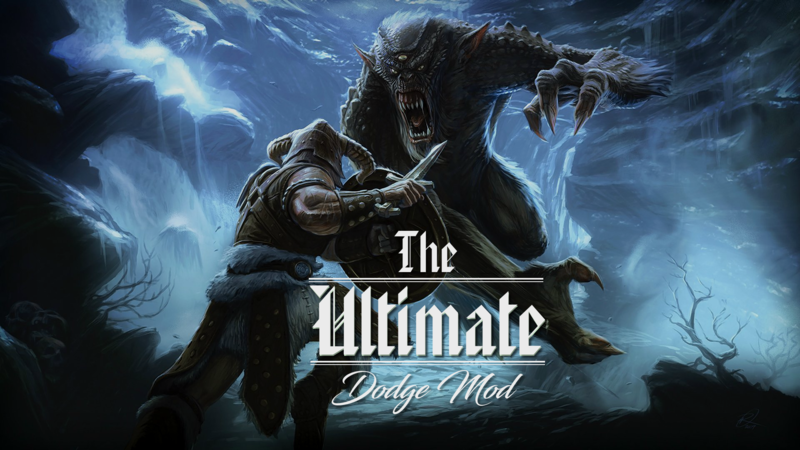 Ultimate Dodge Mod comes in two flavors based on your movement preferences, so be sure to read the description. While I prefer style 2, both styles make dodging quite intuitive by allowing you to use the sneak (or jump) key to initiate the dodge based on your movement and weapon states. In addition, you can customize your keys during installation. Currently, this mod features a rather dramatic rolling animation akin to The Witcher or DarkSouls which I quite enjoy, though the author has mentioned the possibility for alternate animations in the future. So is it really the ultimate dodge mod? Only time will tell, but I'm definitely enjoying it. Check it out and let us know what you think below. Revenge of the Sleeves has been one of the most popular mods for XCOM: EU/EW since its release. Enemy Within added an awesome gene mod system, but a big frustration was that for some reason, modifying a soldier prevented them from using standard armor variants. As you might guess, the gene mod armor was all sleeveless. Since this only affected aesthetics and not stats, users became annoyed when the general consensus was that the sleeveless gene mod armor didn't look nearly as nice as the bog standard. Enter Revenge of the Sleeves. It does something simple: It lets you keep use the standard armor on modified soldiers, without losing the tactical advantage or custom class symbols. 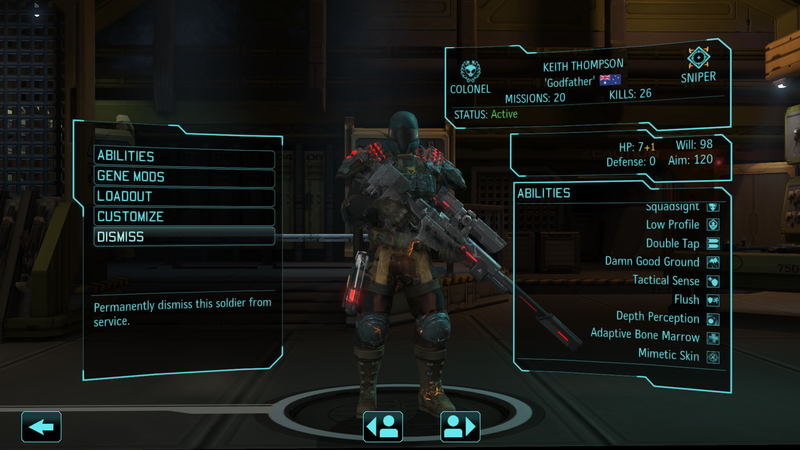 XCOM: EU is a game with no mod support, and as a result, making mods for it is extremely challenging. It requires a great deal of trial and error. Once the author figured out how to make it happen and released it, it became an instant classic. The proof? It hasn't left the hot files since the day it released. Even for a game that only gets a few dozen, maybe a hundred mods a year, that's impressive.